The mayor was given a guided tour around the facilities at the Moreton head office including, labs and production departments. 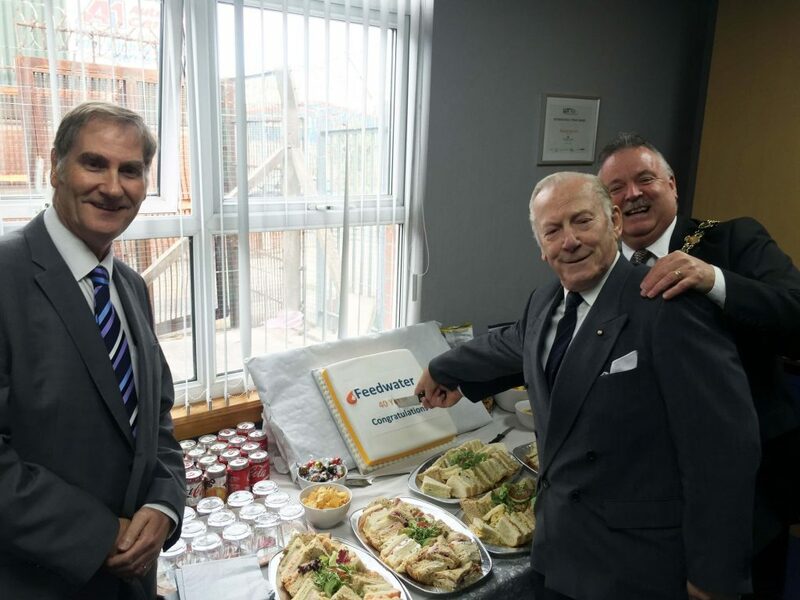 The Mayor expressed his delight with the mornings event spending time discussing with the company Chairman Pat Revans (Centre) the difficult regional economic climate Feedwater was born into in the mid 70s sharing stories from the period. The Mayor expressed the pride he felt at coming to learn the journey of a local company with humble beginnings now providing services and employment across the country as well as exporting skills and locally produced products to markets across the globe. In his diary published weekly in the Liverpool Echo the Mayor summed up the company for his readers. Feedwater wishes to thank The Mayor for his visit.